It's so funny because I was literately just thinking of Suigintou and that marvelous laugh of hers a couple of days ago. 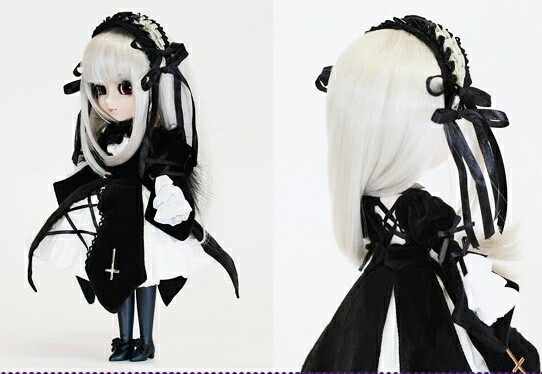 Groove will release an updated reboot version of the original 2007 Suigintou. 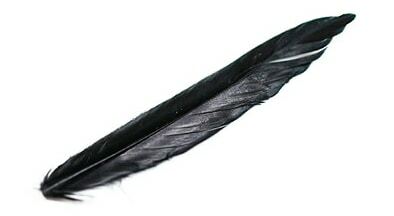 This doll is (at this time) only available for preorders through TBSishop and if you order now through April 20, 2014, you will receive a black feather as a bonus gift. 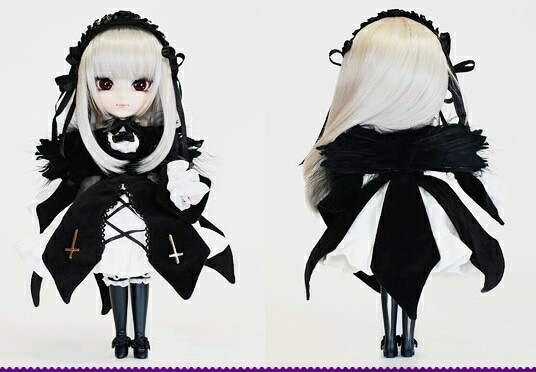 Is Groove gonna release reboot the whole Rozen Maiden lineup of dolls? Why is there an army of collaborations/recolored/reboot Pullips in the year 2014? AGA USA store has been quiet too. 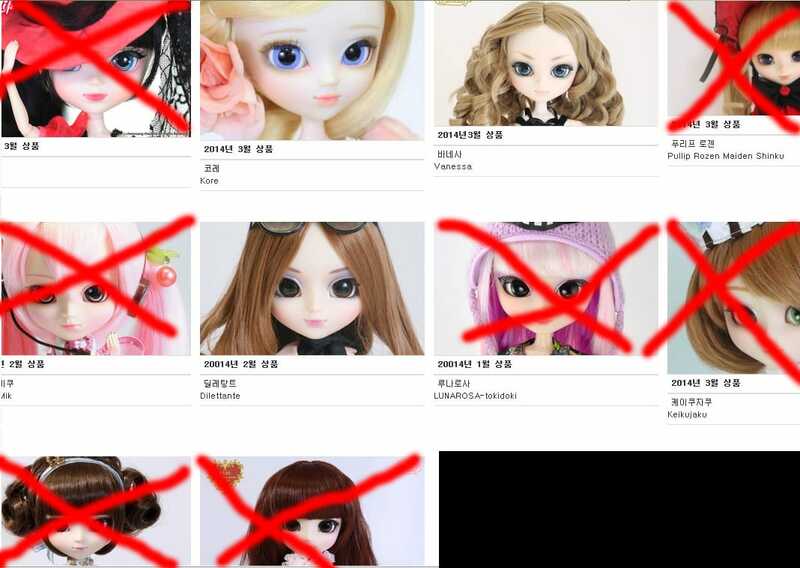 This saddens me because I enjoyed seeing AGA's presence in the doll community and it's a shame to see them back in the shadows. Now, if it IS true that AGA is no longer designing dolls and Groove is left with the task of creating something but are uncertain as to what to release, I say go to your fans! You did recently release the make it own line . . . 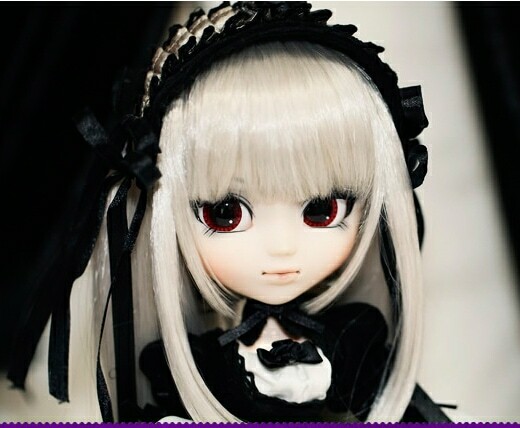 I think it would be really cool to have fans create and design a doll and have other fans vote on which doll they would like to see mass produced! That would be awesome. So guys are you excited for this May 2014 release of Suigintou. Leave a comment below? And don't forget to Like, tweet, and share this page. But this raises a question. Does this mean that Groove releases all other Rozen Maidens too? 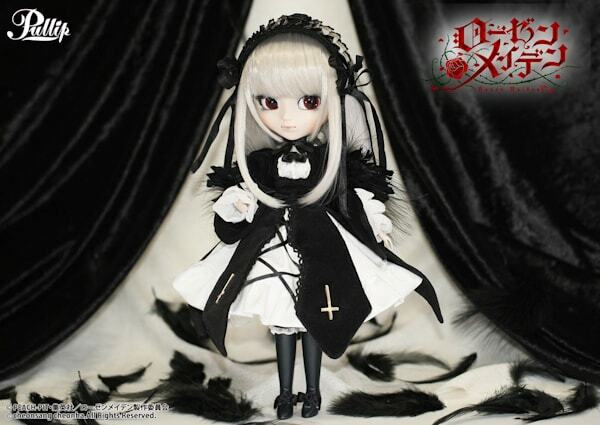 :O When 2014 Shinku and Keikujaku were introduced, I thought they will not release others. Hopefully I was wrong because if they release Suiseiseki and (especially) Souseiseki, I really will get overjoyed. I do think Groove will release the other girls . . . you can’t let Shinku and Suigintou have all the fun, that just wouldn’t be right lol. I am really interested in seeing how Suigintou 2014 compares to the earlier one. It’s difficult for me to tell the difference in promo photos. 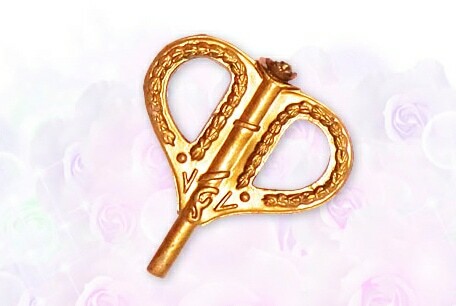 Do you have the earlier one? I sure hope so because I would really like to see you review Suigintou 2014 with a comparison of the 2007 version (wow, nearly 7 years. Man on man. When you look at life through doll releases . . . time sure goes fast). 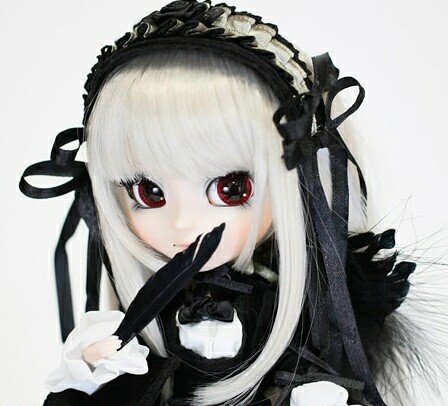 I love that Suigintou doll.. she is so stunning maybe they gonna do a new version of all the other RM dolls too… This will be Amazing if they do that. I’m happy to see that you’re excited for this girl, she is a cutie. 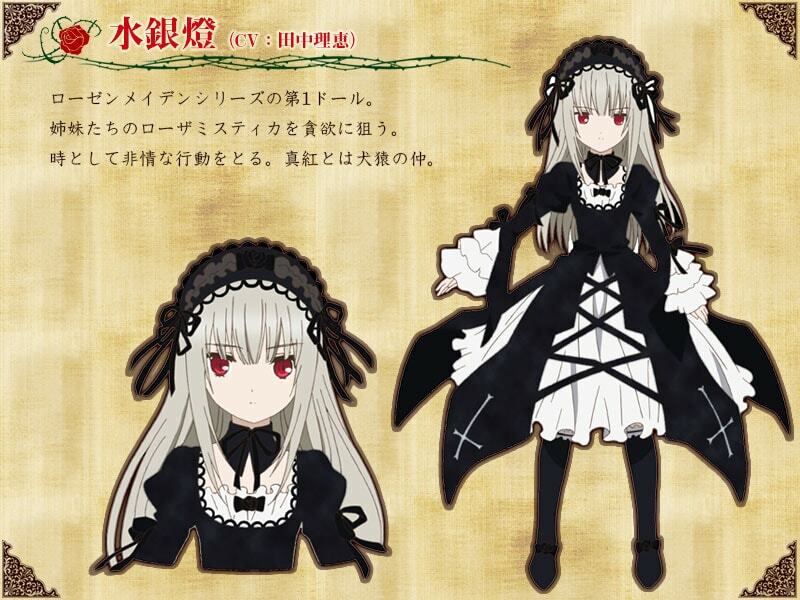 I like the design and color of the 2013 Suigintou character. It will absolutely be interesting to see if Groove reboots the whole RM dolls.